Elbow ache is not quite common but if it is something that you complain of regularly, then possibly there is something wrong with your elbows. Do you play tennis or volleyball or are you active in some other sports that strain the hand the mainly? If so, there is a chance of elbow injury and that is the one that is causing the pain. If the pain is already too severe and is rendering you motionless, then you may need an elbow supports for your elbow. The elbow supports is very useful in providing instant relief, warmth, protection, and it promotes quick healing. They are worn just below the elbow on the forearm. It is crafted to give sufficient pressure to focus on the swollen tendons without hampering blood circulation. Therefore, you may be able to go back to your normal activities faster. The most regular use for an elbow support is for tennis or golfer’s elbow. Treating the tennis elbow requires the splint to be worn beneath the elbow not directly on it. This will shift the pressure from the elbow itself to the area directly under the splint. 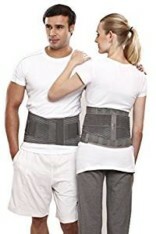 It must be worn always while doing all activities for absolute relief. It is recommended that you prefer an elbow support that is designed appropriately with lightweight and breathable material. The use of elbow support is highly suggested by orthopedists in the treatment of elbow injury as they support elbow bones and muscles and ease the pain caused by any damage. 1. 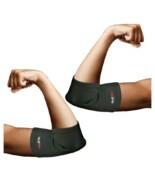 Elbow support alleviates pain caused by tight and tensed muscles. It can work wonders on tensed and stressed muscles. It lets the muscles to relax by preventing it movements so pain caused by exhausted muscles is comforted. 2. Elbow supports are less expensive yet efficient alternative to surgical procedures and other medical treatments. Elbow support is an always a better option then taking pain killers that only provide temporary relief. 3. It is a onetime investment and you can use whenever you need elbow support, for a very long time. 4. The use of elbow braces is also less painful than any other surgical and medical measures for the treatment of elbow injury. 5. Elbow braces help preventing chronic injury. If you cannot keep yourself from activities that involve too much strain on your elbows, then you an elbow brace is ideal to prevent further injury. 6. If you are profoundly involved in actions with repetitive overwork on your forearm muscles wearing an elbow supports can be the best preventive measure. 1. Tynor Elbow Support E 11:- Tynor elbow support E11 provides dense compression, warmth& support to the forearm and the elbow joint, to alleviate pain, swelling and stiffness, generally related with arthritis, old age, sports injury etc. 2. LP Elastic Elbow Support 943:- This elbow support is a 4-way stretch support provides firm compression and warmth over the Elbow. 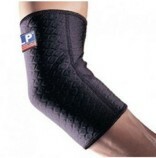 This is an affordable and the right kind of protection for weak, injured or unstable elbow conditions. 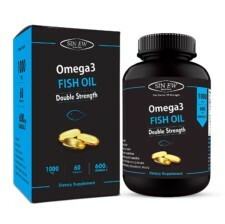 It provides effectual support to damaged ligaments and helps in pain due to arthritis or bursitis. 3. LP Tennis Elbow Support 723:- This is an ideal solution for prevention and control of tendinitis and bursitis, and relief of pain related with arthritis. It safeguard during activity for weak or painful joints by permits limited motion to joint following injury or surgery to avoid stiffness. It has an adjustable compressive strap which reduces tension in wrist and finger extensors during gripping. In conclusion, elbow braces are just not effective in providing relief and protection to elbow. It also supplies warmth on the hurt forearm and promotes curing. Elbow supports come in various types and it is advised that you select an elbow support that is intended appropriately with breathable material and light weight. Tennis elbow supports which are used very commonly extend support and direction to the forearm muscles and minimize the wear and tear that occurs during faction of the arm. The splint lessens the strain on the affected area and should be worn regularly till the pain subsides. Keep monitoring the effectiveness of the brace and your injury’s period of healing so you can alter it if required. Everyone wants to live their lives without any compromises in activities. Elbow Support helps to relieve discomfort in elbows and forearms, so you continue ahead of the sport and game all day out.